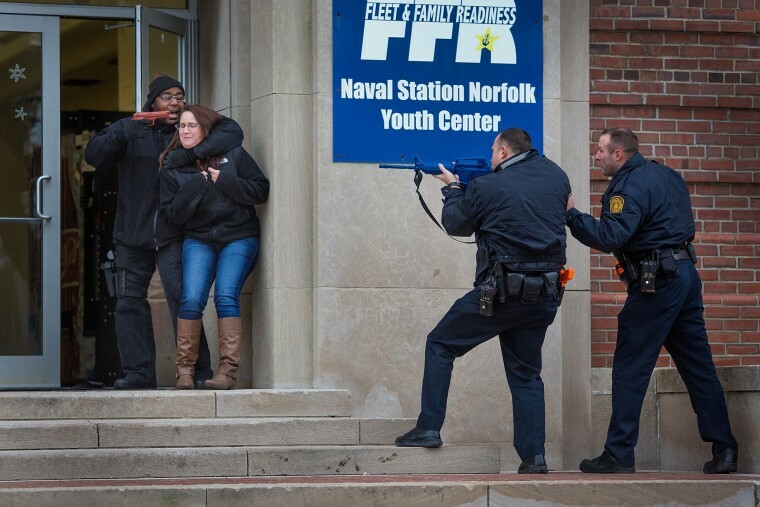 An active shooter scenario played out February 11, 2015 at Naval Station Norfolk as part of the annual Solid Curtain/Citadel Shied security exercise. 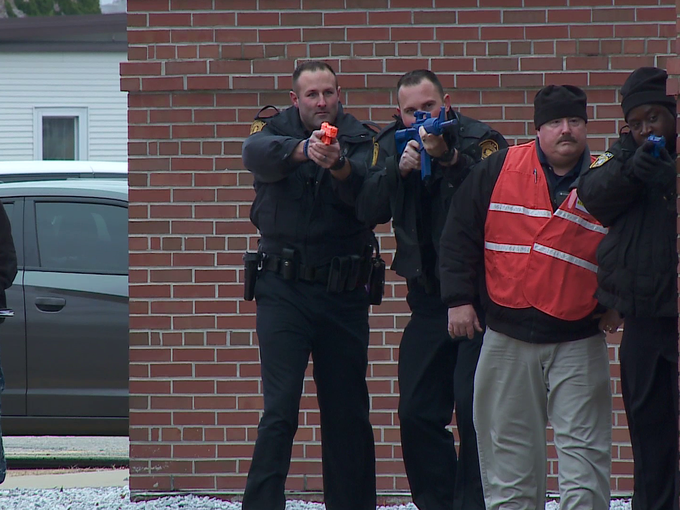 Suburban Acres’ own Community Resource Officer William Old, III was one of the initial responders for the exercise. In addition to Naval Station security forces and Norfolk Police, NCIS and the FBI also participated. Suburban Acres Civic League Secretary and all-around great neighbor Diane Ruhl was featured in a recent Flagship (official newspaper of Navy Region Mid-Atlantic) article. Diane won a local “Fat 2 Fit” training competition, losing 12% of her body weight. Her trainer, Lacey Lee, won the Top Trainer competition due to Diane’s weight loss over the eight week contest. Along the way Fat 2 Fit participants also helped local charities, including the Virginia Beach SPCA. Diane & Lacey also earned the most points for this part of the competition, collecting cash donations and items needed by the SPCA. The Virginian Pilot’s “What’s in a Name” series addresses Thole Street. Shawn Padgett’s home featured in The Pilot (again!) due to his great Christmas light set up. Here’s the article.